Product #21043 | SKU 175770 | 0.0 (no ratings yet) Thanks for your rating! The Ricoh GH-3 Hood and Adapter allows you to attach a lens hood and other accessories to Ricoh GR Series digital cameras. 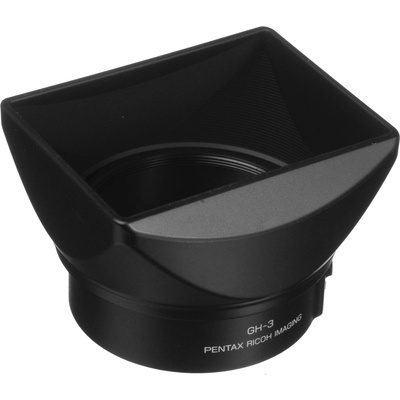 The included lens hood prevents glare and ghosting when shooting towards bright light sources. Additionally, the adapter also allows for the attachment of filters with a thread size of 49mm and the GH-3 Wide-Angle Adapter.